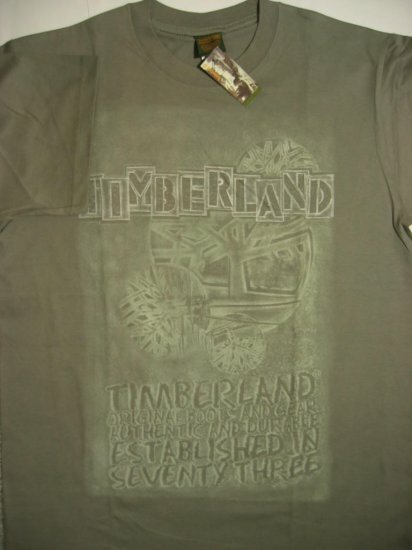 New Timberland Men T-Shirt Green Size Large L Timbs FREE SHIPPING! Brand New With Tag Timberland T-shirt. This shirt is 100% authentic. FREE SHIPPING to US & Canada. Other country, please ask for shipping quote. Payment: credit card through Google Checkout, bank transfer (bill pay), money order, or personal check. If you would like to know how to use any of the payment method, please let us know. NFL Chicago Bears 24M Reebok baby/infant onesie (unisex) FREE SHIPPING! Indonesian Bela Diri Militer (BDM) Military Self Defense Patch FREE SHIPPING! NFL Washington Redskins infant Reebok onesie 12 Month M FREE SHIPPING! New Timberland Men T-Shirt Green Size Medium M Timbs FREE SHIPPING!